We pay tribute to PAT EDWARDS who has sadly died after a short illness. 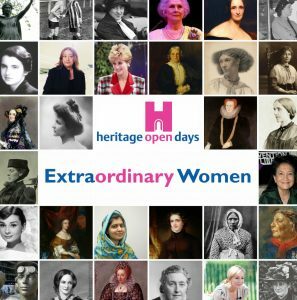 Her funeral will be at Portchester Crematorium, at 12 noon on Thursday 11 May. 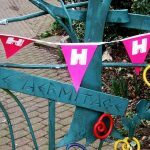 Pat will be known by many visitors to Heritage Open Days in Gosport as she had for years given an inspiring guided walk around The Hermitage Wildlife Garden. This garden and oasis of tranquility within our busy town of Gosport is a true ‘hidden gem’ of nature. 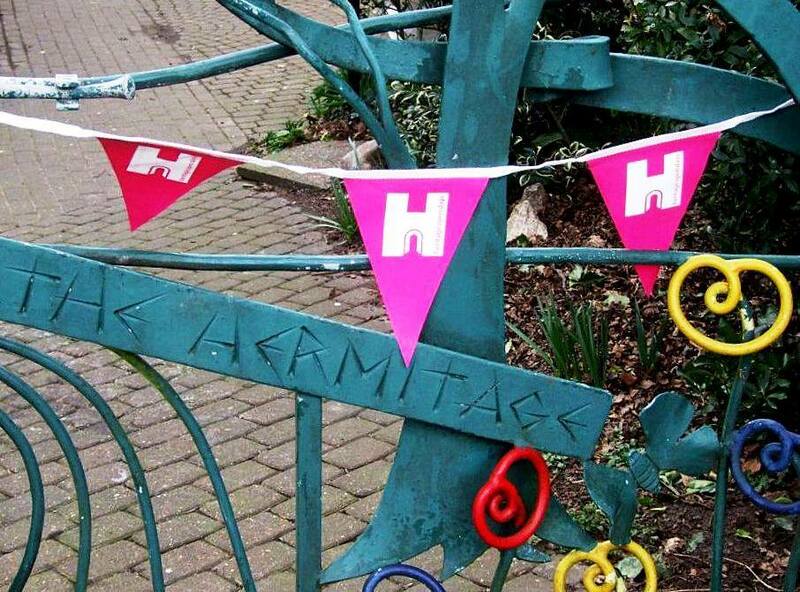 Pat dedicated over 25 years of voluntary work with the ‘Friends of The Hermitage’ towards helping to maintain the beauty of this garden which is now owned by Gosport Borough Council. 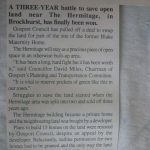 But more than that, in 1990 Pat and her 79 yr old mother, Olive Edwards, took on the might of a bulldozer which was clearing the land for housing development! The land had once been owned by the monks who lived in The Hermitage house and the 300+ year old outbuildings in the grounds. 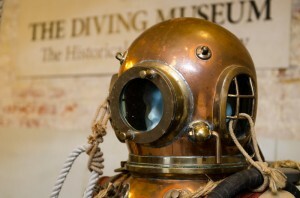 So not only was it a place of natural significance but also of historical importance. 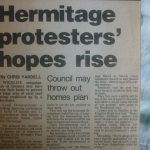 Over the years The Hermitage house went to private ownership and the land was sold to a developer. Pat and her mother, along with many other local residents, were inflamed when a mechanical digger started uprooting trees, habitats for wildlife and demolishing the beautiful archway and buildings. They wanted to lay in front of the digger to protect the animals living on the site. 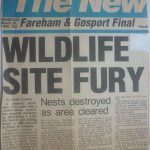 Indeed, photos and newspaper cuttings in Pat’s scrapbook show that they did manage to impede the contractor long enough for Gosport Borough Council to get a preservation order on the remaining trees. 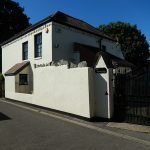 Ultimately, the landowner was refused planning permission and GBC made a deal to swap that land with some elsewhere in Gosport which was suitable to be developed. 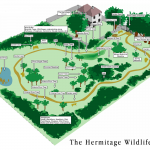 The Hermitage Wildlife Garden was restored back to some of its former glory by the Council and keen volunteers. And that is why it is a precious natural place which can be visited by anyone clever enough to find this ‘hidden gem’.